Have a thing for fancy knives? 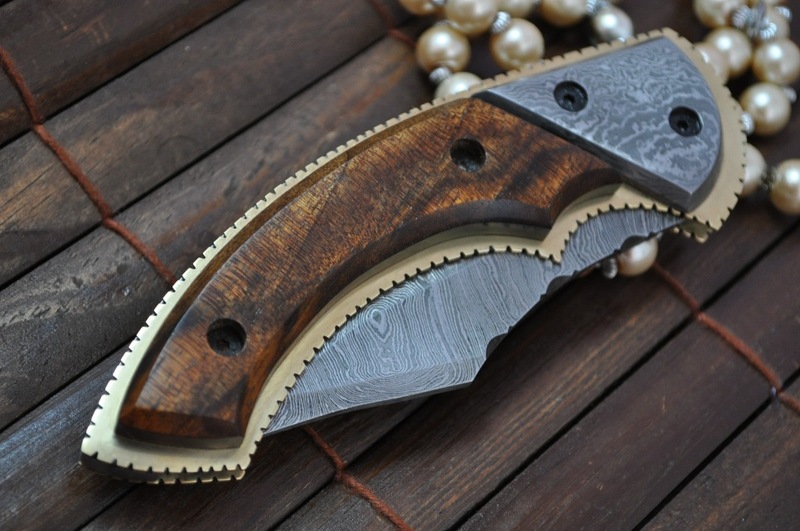 If collection of exotic, classy and and artistic knives is what interests you, then Damascus Knives are sure to be a part of your collection. 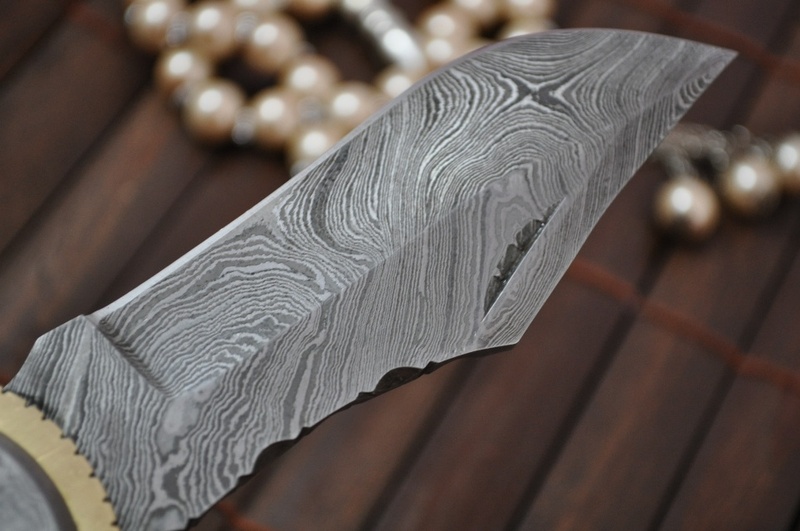 Damascus knives are beautiful, layered, knives made by the amalgamation of two to five alloys that play together nicely and forge a beautiful pattern on the knife, giving it a distinguished look. 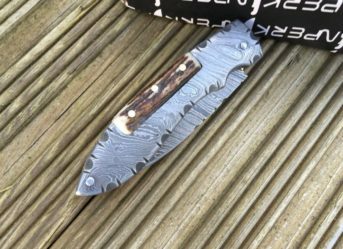 Damascus folding knives are a beauty in themselves and if coming along with an elegant pear wood handle, the combination is something a few others can beat! 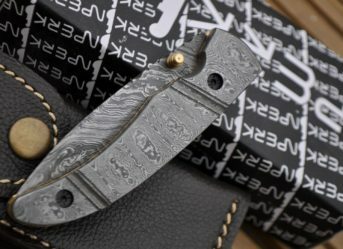 You may look at these knives once, and be assured to fall in love with them! 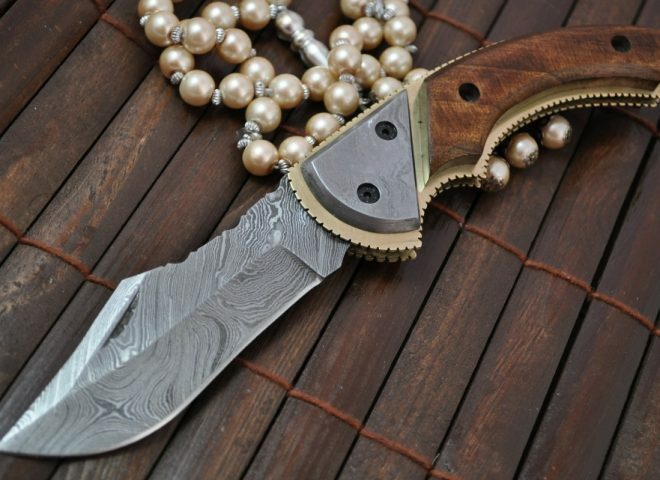 The beautiful knives you might be enticed to collecting are made beautiful not only because of the brilliant texture they have but also the magnificent handles they have. The way these handles can be carved and molded into designs that are artistic and worth cherishing. The wooden handles can be made of various types of wood, like Apricot, Bocote, Ebony, Peach, Pear, Rosewood and many other hundreds of varieties but the category that they all fall in is the hardwood. Pear wood, like others is a hardwood which is perfect to be used as handles in knives or other wooden articles. 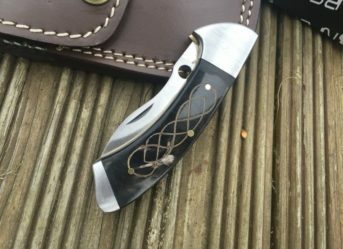 Having a customised knife for yourself with a pear wood handle is something to be proud of! Pear wood being used in the handles for knives is an old practice. Like other woods used for this purpose, pear wood also falls in the category of hardwood that is robust, durable and is easy to carve in. also, pear wood can easily take the fine curves or maybe a nail as well without breaking, chipping or splintering. 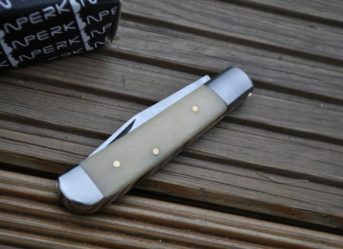 Not only this, the other reason why pear is so widely used to make wood handles of pocket knives or employed in other wooden articles is because of its beautiful colour and texture. You would love to have the reddish hue on the handle of your finely designed knife and flaunt it in front of everyone as a piece of art!